She is not the only one so if there is anyone out there who does not like templates, maybe try to conquer that this time! She then continues to show us the templates we will need. She settles on a way to use templates that is between relying on them and not using them at all. This is a useful technique to know about. The fabric and any tools that are eye catchers are right in reach in the description below the video. She really talks us through every step, which is very helpful and makes this project something that any beginners can definitely pull off. With that being said, this one if for the pros and the starters. It gives us a great pattern to have fun with and Angela does a great job while putting on a great show. 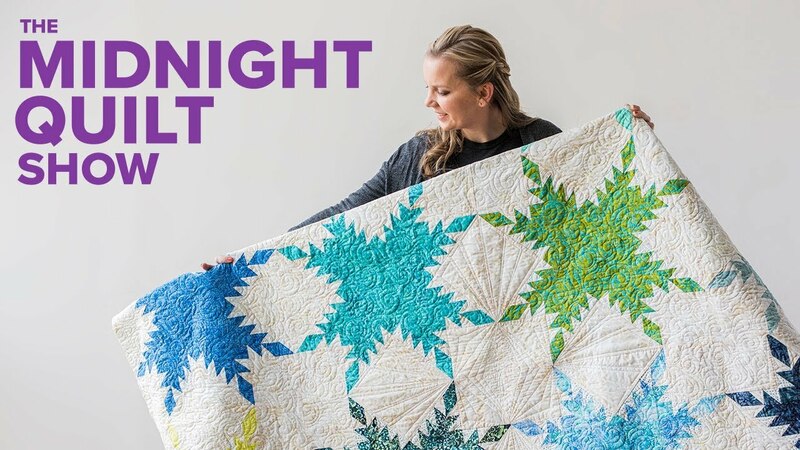 Don’t forget to check it out because the modern feathered star quilt is definitely worth the time put in!